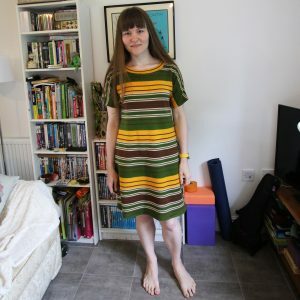 This year I was fortunate enough to be a pattern tester for one of Megan Nielsen’s new patterns which came out on 1 November 2018. 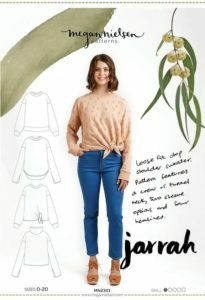 Here is my pattern review of Jarrah. I would say that this pattern is a nice easy one for beginners. The only real challenge was the neckband for me. I found that the instructions were clear. I did go on auto pilot at one point (the neckband) and almost do it wrong, but when I actually read it, it was clear!! 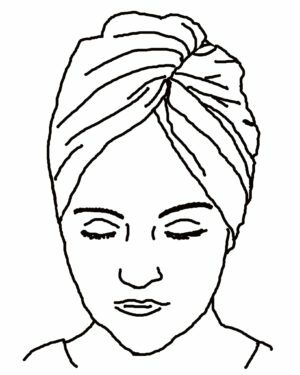 The pattern provides markers for attaching the neckband rather than advising you to ‘quarter’ the neckband and neck opening yourself, which is great, you just need to read it! 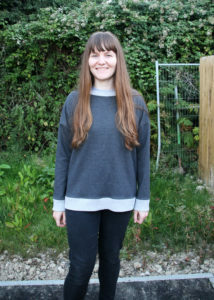 I made a straight size 10 – it’s a loose fit design and I’m a fan of baggy jumpers! The design has grown on me – especially now that it’s cold enough to wear it here in the UK! 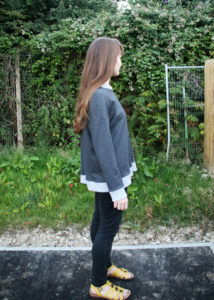 However, if I made another, I’d go for the funnel neck version. I completed this make in a day. 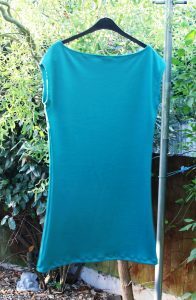 The hems were easy as I was attaching the ribbing and the fabrics were stable knit fabrics which helped. Also, I didn’t need to adjust the fit. Overall, it’s a great classic staple for your wardrobe, with some lovely variations to try out. Due to the different variations which come with the pattern (high-low hem, tie knot, funnel neck, as well as this one I’ve done), you get a lot of value for money out of the pattern. Great post. Impressive with your eye issue. Good video review.